1.1. Gandharva and Gana were two major Musical genres of the ancient times. The Gandharva, as we saw in the previous segment, was the type of songs that was sung during the worship of gods. And, the music performed in the course of play (Natya) was termed as Gana by Abhinavagupta. In the Natyashastra, the term Gana is employed to denote any song; but, in particular to Dhruva songs performed during the play. In other words, broadly, Gitikas were considered Gandharva and Dhruva as Gana. 1.2. Abhinavagupta said; Gandharva and Gana flourished side by side even during later times. And he also pointed out that during the time of Bharatha, the Gana adopted regional tunes for its Dhruva songs. In support of his argument, Abhinavagupta quotes another authority Vriddha (Senior) Kashyapa to show that changes in the Sruti scheme of Bharatha were freely made in Desi ragas. 1.3. In the later times, Sarangadeva (13th century) classified Parbandha and other Musical forms of Desi–samgita also under Gana. He speaks of Gana as being of two kinds: Nibaddha (structured) and A-nibaddha (unstructured). Nibaddha refers to compositions governed by rules, say as in a Prabandha. And, the A-nibaddha is free flowing improvised music, say as in Aalapti (Aalap). But, both the modes had to work within the accepted ambit of Music (Samgita). 2.1. The Gana of Natyashastra had its roots in Gandharva. And Gandharva songs were also used before the play proper. For instance; in the Purvanga, that is during the preliminaries before the commencement of the Drama per se, the Gandharva songs of the type Nirgita were sung, to the accompaniment of instruments, offering prayers to Shiva. This was followed by a song in Gitaka format; and by a Tandava dance of Shiva or a Lasya of Shiva and Devi to another Gitaka-song. Thereafter, the Sutradhara (a sort of compère) and his troupe enter the stage, move in a rhythmic dance like steps and sing Gandharva-songs ( Gitikas) to delight the gods; bowing to Sakra i.e. Indra (in the East), Yama in the South, Varuna in the West, and to Kubera in the North ; and praying to gods for successful enactment and completion of the play. However, during the course of the play the Gana was used. 2.2. Though Gana owed much to the Gandharva, the two differed in a number of ways. The Gandharva was regulated Music (niyata), while Gana was relatively free, improvised or incidental Music. Gandharva songs were sung to invite the blessing of gods before the commencement of the play. And, Gana music was tailored to the various dramatic requirements of the performance. And, since Gana was meant for entertainment, it was moulded, largely, by the taste of the spectators at the play. 2.3. In his commentary on the 33rd chapter of Natyashastra, Abhinavagupta draws a four-fold distinction between Gandharva and Gana Music-s. According to Abhinavagupta , the two differ in their : in Svarupa – structure and ways of employing Svara, Taala and Pada; in Phala – the benefits or the objectives ; the one is in praise of Shiva and pleasing gods while the other strives to gladden the hearts of the audience in a theatrical performance; in Kaala – the context or the occasions of their rendering , one is for worship and the other is for entertainment; and , in Dharma – in their distinctive nature and functions. 3.1. As regards the Musical aspects, in Gandharva the Svaras were employed at fixed intervals (Sruti); and the Sruti intervals were well defined. For instance; in the Shadja Grama, Ri was on the third Sruti above Sa; Ga was on the second Sruti above Ri and so on. Such rigidity was not needed in Gana (Kim ca antarāla-niyamo….gāndharve’vaśya-samvedhaḥ | na tv evaṃ gāne). Abhinavagupta while explaining this aspect says that he is elaborating what was in actual practice (pratita) during those times (uktam api pratītam anucitrīyate). 3.2. In Gāndharva, the Taala, which measured time through a fixed number of demarcations, was also governed by rigid rules. Its main aim was to establish Saamya or equipoise. Taala occupied a secondary position (angāngibhāva) to Svara. In the case of Gana, the Taala enjoyed more flexibility. The Taala in a play could aesthetically be improvised to suit the dramatic situations and also to provide entertainment through colourful rhythmic play. 3.3. The importance of Pada also varied in the two types of Music. In Gandharva, the Svara and Taala had predominance over Pada. In Gana, the text of the songs, the Pada, needed much attention as its words were of importance. The role of Pada is, thus, different in Gana and Gāndharva. 3.4. As regards the context (Kaala) in which Gandharva and Gana are used , Gandharva could be used only in the Purvanga (ritual prologue to the play) . But , during the course of the play Dhruva songs were sung in Grama-jaatis . Thus, the function or the nature (Dharma) of the Gandharva and Gana differed: Gandharva to please the gods and Gana to entertain humans. 4.1. Natya-Shastra is a detailed compendium of more than about five thousand verses spread over thirty-six chapters dealing with all aspects of play production. The text was meant as practical manual imparting technical instructions about the performing arts; and, for production of successful theatrical performances. It is said that the text which we now know as Natya-Shastra was based on an earlier text that was much larger (Adi-Bharata or Dwadasha-sahasri, because it contained twelve thousand verses). There are also frequent references to the writers of the earlier time and other views. 4.2. Natya-Shastra describes itself as Natyaveda, the fifth Veda that would be accessible to all the four castes (1:12). It claims that the text imbibes in itself the articulated – spoken word or text (patya) from Rig-Veda; the ritual and the body-language (abhinaya) from Yajur Veda; musical sound, the song-notes from Sama Veda; and, Sattvika (understanding of the relation between mind and body-expressions) – for conveying various bhavas through expressions exuding grace and charm – from Atharva Veda (Natya-Shastra – 1:17-19) . 4.3. The text is permeated with the Vedic symbolism and the imagery. The theatrical production is compared to Yajna; with the stage being the vedika, the altar. The dramatic spectacle, just as Yajna, is said to have a moral and ethical purpose. The object of the drama was to show men the proper way, a way in which one could live and behave, so that one might become a better ‘man’. 4.5. It is, therefore, generally believed that the text was articulated at a time when the Vedic life-style tempered by the sombre contemplative speculation of the Upanishad, was still alive. The mention of the Buddhist Bhiksus and Jain Samanas indicate that Natya-Shastra was of post – Buddha and Mahavira period. And, its Dhruva songs are in a form of Prakrit, which predates the great poet Ashvaghosha’s play (first century). For these reasons, the scholars generally believe that Natya-Shastra might have been composed sometime around the first or second century BCE, but not later. 5.1. The compiler of Natya-Shastra calls it a prayoga Shastra – a framework of principles of praxis or practice. Bharata makes a significant opening statement: “I am creating a theory and text of performance; of practice and experimentation” . He also underlines the fact that the efficacy of its formulation lies in practice (prayoga). 5.2. There is a certain flexibility built in to the structure of the text. It provides for varied interpretations and readings. The author himself encourages innovations and experimentations in production and presentation of plays. He even permits modification of his injunctions; and states the rules “can be changed according to the needs of time (kaala) and place (desha)” .The text accordingly makes room for fluidity of interpretation and multiple ways of understanding it. The intellectual freedom that Bharata provided to his readers/listeners ensured both continuity and change in Indian arts over the centuries. 6.1. 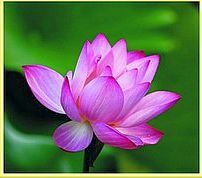 The term Natya is derived from the root Nat (= to act); and the one who acts is a Nata. And, Natya is the art of the Nata, which is the dramatic art. The actor re-lives the ‘life’ of the character he plays, and presents before the spectators his interpretation of that character, by means of dramatic-art. 6.2. The text employs Natya as a generic term, which broadly covers drama, dance and music. At the time the NatayaShastra was compiled, the arts of poetry, dance, music and drama; and even painting, and sculpture were not viewed as separate and individualized streams of art forms. It was an integral vision of art, which blossomed in multiplicity. All art expressions were viewed as vehicles of beauty providing both pleasure and education, through refinement of senses and sense perceptions. The reason that theatre-arts were discussed specifically was that, in the ancient Indian context, drama was considered the most comprehensive form of art-expressions. 7.1. The compiler of the Natyashastra, whoever he might be, comes across as a person of great learning, culture and rooted in good tradition (sampradaya, parampara). He was well grounded not merely in Vedic learning and its ethos , but also in kavya (literature) , fine arts, Ayurveda (medicine), jyothisha (astrology), ganitha (mathematics), vastu- shilpa (architecture) and hathayoga, His understanding of the human anatomy- particularly the motor and sensory systems and the joints; the relation between the physical stimulus and psychic response; as also the relation between psychic states and expressions through physical movements ; were truly remarkable. 7.2. Natya-Shastra has provided a sustainable foundation and framework for development of theory and practice of arts in India. It also touches on the related areas of cultural life of India. It is the foundation on which Indian philosophical thinking squarely rests. Just as Panini standardized the classical form of Sanskrit, Bharata standardized the classical form of drama. He gave it status and dignity; a form and an objective; a vision and finally a technique. His brilliant intuition and intellect has inspired generations of artists over several centuries. 8.1. Natyashastra is composed in a cryptic Sutra form; and is not easy to read or to understand. As Shri Adya Rangacharya remarked, the text is rather rambling and repetitive; and the word-to-word translation would not be of much use since its terms could be interpreted in more than one way. One does, therefore, need the guidance of a commentary to wade through Natyashastra. The earliest commentary on Natyashastra that has survived and that which is most celebrated is the Abhinavabharati of Abhinavagupta (11th century). 8.2. Abhinavagupta was a visionary and a philosopher who combined in himself the experiences of a mystic and a Tantric. He was gifted with extraordinary incisive intellectual powers of a logician, as also the skills of a commentator and an art critic. He illumines and interprets the text of the Bharata at many levels: conceptual, structural and technical. In addition, he summed up the views of his predecessors (that is, the scholars who earlier commented on Natyashastra), before presenting his own arguments. Abhinavagupta brought fresh perspectives to the concepts of Bharata, particularly on aesthetic experience (Rasa) and art creation. Although Abhinavabharati is a commentary, it is for all purposes an independent treatise on aesthetics in Indian dance, poetry, music and art. 9.1. Natyashastra was mainly concerned with Drama. And, the role of Music in it, in conjunction with other components, was primarily to heighten the dramatic effects of the acts and scenes in the play. Music, in that context, was another beautiful, artistic, effective device to articulate the moods of various theatrical situations through appropriate thematic tunes and songs. Therefore, Natyashastra was more interested in applied-music than in Music per se (Samgita-shastra). 9.2. The ‘Music’ that the Natyashastra talks about is indeed the Samgita. The term Samgita in the early Indian context denoted a composite art-form comprising vocal (Gitam) and instrumental (Vadyam) music; as also Nrtyam the dance movements or dance (Gitam, Vadyam tatha Nrtyam trayam Samgitam uccyate). The last one, Nrtyam, the dance, is composed of all those three elements. [The Gitam, the song format, is a fusion of Nada (sounds) and Akshara (composition made of words). Its musical element is named Dhathu; while its composition made of words is called Mathu. Lohana Pandita, in his Raga-tarangini, says: – Dhatu-matu-samayauktam Gitam iti uccyate budhaih; tatra nadatmako dhatur matur akshara sambhavah’. Gitam, going by its traditional definition, strictly belongs to the Salaga Suda class of Prabandha, which is composed two Angas (elements) – Pada (words) and Taala (time-beats); and, having three components or Dhatus (Tri-dhatuka Prabandha) : Udgraha, Dhruva and Abhoga. For more on that, please click here. But, in common practice, anything that is sung goes by the name of Gita (Giyata iti Gitam). Nrtta: the display of smart looking (shobhahetu) limb movements, in tune with attractive and catchy Taala (rhythm) and Laya (tempo) – Nrttam Taala Laya ashrayam (DR.I. 9). But, in itself, it is devoid of meaningful content; and, is valued for its mere visual beauty of body movements (gatrasya viksepaha). Nrtya: the means of putting forth different aesthetic moods or bhava (bhavahetu orbhavashraya) or giving expression to individual words of the song through appropriate gestures, facial expressions,expressing emotions through Abhinaya-pada-artha-abhinayatmaka. The key ingredient in this is the elaborate gesture-language. Abhinaya (lit. To bring near, that is to present before the eyes), is a harmonious combination of striking pose, eloquent gestures, lucid facial expressions, various glances, and meaningful movements of the feet, hands, fingers and feet. Thus, Nrtta is pure dance movements, without emotions; Nrtya is that which brings forth the emotional content of the song or the dance theme. And, Sarangadeva said that Nrtya and Nrtta can both be of two kinds –Tandava and Lasya (SR. 7. 28); and, while Tandava is uddhata (vigorous), the Lasya is of Lalita (delicate) movements (SR. 7. 29- 30). And, the third, the Natya: the art form gives forth Rasa (ultimate aesthetic enjoyment) ; and, is based in Rasa – Natyam rasam-ashrayam (DR.I. 9). It gives expressions to the inner or true meaning of the lyrics through dance gestures –vakyartha-abhinayatmaka. Thus, Natya, the dance, delightfully brings together and presents in a very highly expressive, attractive visual and auditory form, the import of the lyrics (sahitya), the nuances of its emotional content to the accompaniment of soulful music and rhythmic patterns (tala-laya). Later, Pundarika Vittala his work (Nartana-nirnaya), uses the term Nartana, generally, to mean ‘Dance’, Pundarika said that by Nartana he meant it to be a general class name for Dance. And, that the term Natrana would cover the three forms of Dance: Natya, Nrtya and Nrtta. The last (Nrtta) would again be subdivided into three other types: visama (acrobatic), vikata (ludicrous) and laghu (light and graceful), identified respectively as rope-dancing, a comic dance, and a dance based on easy karanas. Thus, it seems, in the later times, while Nartana stood for the general class name; the other three were its sub-divisions. In the latter times, the scope of the term Samgita narrowed down to what we now call ‘music’. Dance became a separate art form. And, within Music the vocal remained the more dominant aspect. 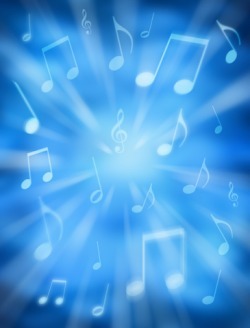 The instrumental music follows what is rendered vocally. 10.1. Natyashastra pays considerable importance to aspects of Music. It devotes eight of its (chapters 27-34) to Music in the play and Music in general. In fact, chapters 28-36 offer one of the earliest sources of Indian music theory. :- Chapter twenty eight covers Jaati (melodic types), Sruti (micro-intervals), Svara (notes), Grama (scales), Murcchana (arrangement of the Svaras) and Sthanas (registers). :- Chapter twenty nine describes the techniques of plying stringed instruments like the Veena; and distinctions between vocal and instrumental music, further dividing vocal into two types, Varna (colour or syllables) and Giti (‘song’ with lyrics). :- Chapter thirty which has only thirteen verses describes wind instruments like the Vamsa (flute) and ways of playing it. :- Chapter thirty-one deals with Taala (time-units or rhythm), Laya (three types of tempo), Yati (three types of movements), Pani (three ways of beginning), Ghana (cymbals), and Chhandas (metrical cycles). :- Chapter thirty two ( which pertains directly to this post) defines Dhruva songs, their specific employment, forms, and illustrations; definition of song form (Gana); qualities of singer (guna); defects (dosha) of a singer; qualities of a Veena player; qualities of a flute player; qualities of male and female voices; and, qualities of teacher and pupil. : – Chapter thirty-three deals with Avanaddha – various types of rhythmic instruments – Mrdanga, Pavana and Dardura – their techniques and their application in Drama. Its next, the Chapter thirty-four relates the origin and nature of drums. : – And, the last three chapters of the treatise, 34 ; 35 ; and 36 (as also 37) provide details regarding the different characters, varieties of costumes and popularization of the art of histrionics. The concluding two chapters lay down the principles for distributing roles and the qualifications for members of the troupe. 11.1. For the limited purpose of this article, let’s assume that Music here refers to singing and the playing of wind and stringed instruments that produce a melody; and to the percussion instruments. 11.2. Music was an essential part of the Indian dramatic art. Natyashastra mentions groups of music-makers or Kutapa-s who brighten (ujjvala-yati) the stage (ranga). These were: Tata, the singers and players of stringed instruments; Susira players of wind-blown instruments; Avadhana, players of percussion instruments such as Mrudanga, Pavana, Dardura and Ghana (cymbals); and the Natyakrta, the group of actors who took part in the play. During the play, Dhruva songs were sung by the actors on the stage as also the singers in the wings, to the accompaniment of musical instruments. The Gita (song), Vadya (instruments) and Natya (enactment of play) should, ideally, coordinate and perform harmoniously – supporting and strengthening each other with great relish. And, the three Kutapa-s, in combination should suggest a seamless movement like a circle of fire (Alaata chakra); and should brighten (Ujjvalayati) the stage. Let’s talk about Dhruva Gana in the next Part. 1.1. The Music of South India was referred to as Karnataka Sangita, perhaps, even slightly prior to 12th century. King Nanyadeva, a prince of a later branch of the Rastrakuta (Karnataka) dynasty who reigned in Mithtili (Nepal) between 1097 and 1133 A.D. in his Sarasvathi-hrdaya-alamkara-hara mentions Karnata-pata tanas. Further, the Kalyana Chalukya King Someshwara III (1127-1139 AD) in his Manasollasa (also called Abhjilashitarta Chintamani) calls the Music of his times as Karnata Sangita . This, perhaps, is the earliest work where the name Karnataka Sangita is specifically mentioned . Later, Thulaja the Nayak ruler of Tanjavuru in his ‘Sangita saramruta’ (1729 – 1735) calls the Music that was in vogue at his time as Karnataka Samgita. That was, perhaps, because the authorities and the Lakshana-granthas he quoted in his work were authored by Kannada-speaking scholars. Later, Sri Subbarama Dikshitar in his ‘Sangita-sampradaya-pradarshini’ (1904) refers to Sri Purandaradasa as ‘Karnataka Sangita Pitamaha’ (father of Karnataka Music). The contributions of the Kannada scholars in terms of – the Lakshna-grathas that articulated the theoretical aspects of the Music; defining the concept of classifying the Ragas under various Mela-s; refining the elements of Music such as Taala; coining fresh Music terms; and, systematizing the teaching methods , particularly in the early stages of learning – had been truly enormous. 1.2. One of the reasons for naming the Dakshinadi as Karnataka Samgita could be that in the initial stages of its development and even in later times up to the 18th century the texts delineating the Grammar (Lakshana –grantha) of Music were authored mostly by Kannada speaking Music-scholars (Lakshanika). The texts were, however, written in Sanskrit and not in Kannada. the Ragalakshanam ( early 18th century) of Muddu Venkatamakhin (maternal grandson of Venkatamakhin) which makes a drastic shift in the concept of Mela , identifies the Raga by the position of its notes (Svara-sthana) and characterizes a Raga by its Aroha and Avaroha ( ascending and descending notes). 1.3. The practice of grouping (Mela) the Ragas according to their parent scale, it said, was initiated by Sage Vidyaranya in his Sangita-sara (14th century). Govinda Dikshita (who reverently addresses Sri Vidyarana as: Sri Charana) confirms this in his Sangita-sudha (1614). Sri Vidyaranya classified about 50 Ragas into 15 groups (Mela). Mela is a Kannada term meaning collection or group; and it is still in use ( eg. sammelana- is meeting or conference).Sri Vidyaranya ‘s work on Melakarta system was followed up and improved upon in later times by other Kannada–speaking scholars. For instance; Ramamatya, following Sri Vidyaranya, in his Svara-mela-kalanidhi classified the then known Ragas into 20 Melas. His classification of Melas was based on five criteria (Lakshana): Amsa (predominant note); Graha (initial note); Nyasa (final note); Shadava (sixth note); and, Audava (pentatonic structure). Ramamatya was thereafter followed by: Pundarika Vittala (16th century); Venkatamakhin (17th century); and his grandson Muddu Venkatamakhin (18th century). 1.4. Sri Sripadaraja (1406-1504) who presided over the Matta at Mulbagal in Kolar District, Karnataka, is credited with reorganizing the Taala system from out of the numerous Desi Taalas (rhythmic patterns) that were in use. He categorized the Taala under seven categories (Suladi sapta taala), each with a fixed number of counts: dhruva (14), matya (10), rupaka (6), jampa (10), triputa (7), ata (14), and eka (4). The counts were measured in terms of Laghu (of one matra duration- notionally to utter four short syllables) and Dhruta (half that of Laghu). He also provided scope for extending these counts (virama) by adding a quarter duration of a Laghu. It appears; two other Taalas (jhompata, a Desi Taala and Raganamatya from folk traditions) were also in use. Of course, today, the Taala regimen has completely been overhauled. 1.5 . Many of the Music-terms that are in use today were derived from Kannada. For instance: while the music-content of a song is called Dhatu, its lyrics are Mathu (meaning spoken word in Kannada). Similarly, the terms Sarale and Janti-varase are derived from Kannada. Sarale is, in fact, said to be the local (prakrta) version of the Sanskrit term Svaravali (string of Svaras). And, Varase (meaning style in Kannada) refers to ways of rendering the Svaras in high (melu-sthayi) and low (taggu-sthayi) pitch. Further, the terms to denote ten modes of ornamentation (Dasha-vidha-Gamaka) were also said to be derived from Kannada: Hommu; Jaaru; Rave; and Orike etc. 1.6. 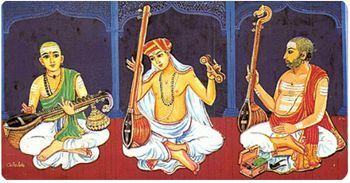 Apart from charting the path for development of Music in South India, the teaching methods were systematized by Sri Purandaradasa through framing a series of graded lessons. Sri Purandaradasa is credited with devising a set of initial lessons starting with Maya-malava-gaula Raga and later in other Ragas. The Svaravalis, Janti varse, the Suladi Sapta taala alankaras and Gitams, composed by Sri Purandaradasa, form a part of Music-learning. He has also to his credit numerous lakshya and lakshna Gitams; Suladis, Ugabhogas, Devara Nama and kirtanas. His compositions served as a model for Sri Tyagaraja. The other composers of the 18th century also followed the song-format devised by Sri Purandaradasa which coordinated the aspects of Raga, Bhava and Taala. 2.1. As regards the Haridasas, their contributions to Karnataka Samgita, spread over six hundred years, have been immense, both in terms of the sheer volume and the varieties of their works. Haridasas were proficient singers and composers; and, spread their message – of devotion, wisdom, ethics in life and social values- through songs and Music. They composed their songs in Kannada, the spoken language of the common people; not in Sanskrit as was the practice until then. Their songs were accessible even to the not-so-literate masses; and, soon became hugely popular. 2.2. The range of Haridasa Music is indeed very wide. It spread from songs derived from folk traditions (lullaby (laali), koluhadu, udayaraga, suvvake, sobane, gundakriya etc) to Prabandha forms (gadya, churnika, dandaka, shukasarita, umatilaka and sudarshana), to musical opera and to the classic poetry. 2.3. As regards the Music, they seemed to have re-organised Ragas starting with malavagaula, malahari under 32 (battisa) Raga-groups. 3.1. Sri Naraharithirtha (13th century), a direct disciple of Sri Madhvacharya, was perhaps the first to compose Kannada songs in Pada- format. (His Ankita or Nama-mudra was Raghupathi.) The model he offered was fully developed and expanded by generations of Haridasa composers. That in turn led to evolution of other song-forms in Karnataka Samgita: Kriti, Kirtana, Javali etc. 3.2. Sri Naraharithirtha, after a considerable gap, was followed by Sri Sripadaraja (Ankita: Rangavittala) who lived for almost a hundred years from 1406-1504. He wrote a good number of Padas as also a long poem in Sanskrit (Bramara-geetha). He also introduced many innovations into Karnataka Music. 3.3. The later set of Haridasas, mostly, lived around the Vijayanagar times. The prominent among them was the most honoured Sri Vyasaraya (1447-1539), a disciple of Sri Sripadaraja. He composed many Padas (Ankita: Sri Krishna). He enjoyed the patronage of the Vijayanagar King Sri Krishnadevaraya; and, also had a large following of disciples. During the time of Sri Vyasaraya the Haridasa movement (Daasa-kuta) reached its heights. Sri Purandaradasa and Sri Kanakadasa were prominent members of the Daasa-kuta. 3.4. 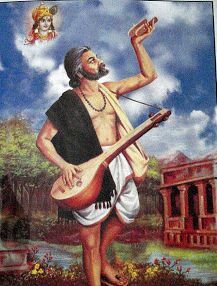 During the same time, Sri Vadiraja (Ankita: Hayavadana) who had his seat in Sode (North Kanara District) composed varieties of Padas, popular songs and lengthy poems in classic style. 3.5. Among the Daasa-kuta , Sri Purandaradasa ( 1484-1564) a disciple of Sri Vyasaraya was , of course, the most well known of all. He composed countless Padas (Ankita: Purandara Vittala). Though he is said to have composed gita, thaya, padya-vrata (vrittanama) and prabandha (much of which is lost), he is today known mainly by his Padas, Suladis and Ugabhogas. His songs cover a range of subjects such as: honesty and purity in ones conduct and thoughts; wholesome family life; social consciousness and ones responsibility to society; philosophical songs; futility of fake rituals; songs preaching importance of devotion and surrender to God; prayers; narrative songs etc. He systematized the methods of teaching Music; and blended lyrics (Mathu), Music (Dhatuu) and Dance (Nrtya) delightfully. He is credited with introducing early-music lessons such as: sarale (svarali), janti (varase), tala- alankaras as well as the group of songs called pillari gitas. These form the first lessons in learning Karnataka music even today. 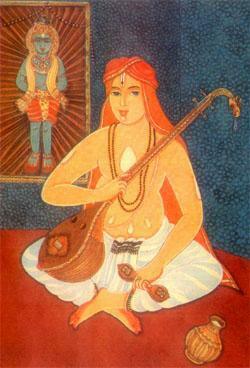 Sri Purandaradasa was later revered as Karnataka Samgita Pitamaha (father of Karnataka Music). It is said; Sri Tyagaraja (1767-1847) derived inspiration from Sri Purandaradasa whom he regarded as one among his Gurus. Sri Tyagaraja, in his dance-drama Prahlada Bhakthi Vijayam pays his tribute to Sri Purandaradasa – వెలయు పురందరదాసుని మహిమలను దలచెద మదిలోన్ (I ponder, in my mind, on the greatness of Purandaradasa who shines in a state of ecstasy, always singing the virtues of Lord Hari which rescues from bad fates). Sri Tyagaraja brought into some of his Kritis the thoughts, emotions and concepts of Sri Purandaradasa. 3.6. 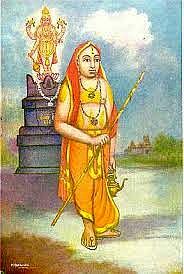 A contemporary of Sri Purandaradasa was the equally renowned Sri Kanakadasa (1508-1606). He is remarkable for the range and depth of his works (Ankita: Nele-Adikeshava). He, like the other Haridasas, was driven by the urge to bring about reforms in personal and social lives of people around him. He wrote soulful songs full of devotion (Bhakthi), knowledge (jnana) and dispassion (Vairagya), besides composing classic epic-like poetry in chaste Kannada. His Kavyas: Mohana-tarangini (in Sangatya meter); Nalacharitre, Haribhakthisara and Ramadhyana-charite (in Saptapadi meter) are popular even today. 3.7. Following Sri Kanakadasa there were generations of Haridasas who continued to compose Padas, Devara Namas Ugabhoga, Suladi, Vruttanama, Dandaka, Tripadi and Ragale (blank verse) etc as per their tradition. Among them the prominent were : Mahipathidasa(1611-1681) ; Vijayadasa (1682-1755) ; Prasanna Venkatadasa (1680-1752) ; Gopaladasa (1722-1762) ; Helavanakatte Giriyamma (18th century) ; Venugopaladasa (18th century) ; Mohanadasa (1728-1751) ; Krishnadasa (18th century) and Jayesha Vittaladasa (1850-1932). 4.1. As said earlier; the bulk of Haridasa music can broadly be grouped under three categories: Pada; Suladi; and, Ugabhoga. 4.2. The Padas are structured into Pallavi which gives the gist, followed by Anu-pallavi and Charana (stanzas) which elaborates the substance of the Pallavi. Pada is set to a Raga and a Taala. The Pada-format is closer to that of a Kriti. The term Pada is again derived from Kannada, where it stands for spoken-word or a song. 4.3. Suladi ( some say that it could suggest Sulaba-hadi , the easy way) is a delightfully enterprising graded and a gliding succession of different Taalas (Tala-malika) and Ragas (Raga-malika). Some others say, the name Suladi also means Su-haadi (meaning a good path, in Kannada). The Suladi is a unique musical form that evolved from the Salaga Suda class of Prabandha . It is made up of 5 to 7 stanzas ; and does not, generally, have Pallavi or Anu-pallavi. Each stanza explains one aspect of the central theme of the song. And, each of its stanzas is set to a different Taala (Taala–malika) chosen from among the nine Suladi Taalas (They in their modern form are: dhruva, mathya, rupaka, jhampa, triputa, atta and eka; in addition to two others jhompata and raganamathya. ) And, at least five Taalas are to be employed in a Suladi. Occasionally, the folk rhythm Raganmatya Taala is also used. Therefore, in Suladi, particular attention is paid to the Taala aspect. Sometimes Ragas are not prescribed for rendering a Suladi. Towards the end of the Suladi there is a couplet called Jothe (meaning ‘a pair ‘in Kannada). Mahamahopadyaya Dr. R. Satyanarayana explains that the Dhruva Prabandha after which Suladi was patterned employed nine different types of Taalas, while they were sung as a series of separate songs. Thereafter, there came into vogue a practice of treating each song as a stanza or Dhatu (or charana as it is now called) of one lengthy song. And, it was sung as one Prabandha called Suladi. Thus, the Suladi was a Taala-malika, the garland of Taalas or a multi-taala structure. He mentions that there was also a practice of singing each stanza of a (Suladi) Prabandha in a different Raga. Thus, a Suladi type of Prabandha was a Taala-malika as also a Raga-malika. Earlier to that, Matanga had mentioned about Chaturanga Prabandha sung in four charanas (stanzas) each set to a different Raga, different Taala , different language (basha) and different metre (Chhandas) . Similarly, another type of Prabandha called Sharabha-lila had eight stanzas each sung in a separate Raga and Taala. Sarangadeva also mentioned several types of Prabandha-s which were at once Raga- malikas and Taala-malikas such as : Sriranga, Srivilasa, Pancha-bhangi, Panchanana, Umatilaka, and Raga-kadamba. Thus , the Raga malika, Taala malika and Raga-Taala- malika concept which was described in the old texts was adopted and improved upon by the Haridasa (Sripadaraya, Vyasaraya, Vadiraja, Purandaradasa and others) to produce series of Suladi songs. 4.4. Ugabhoga is a piece of single stanza, sung in a Raga of performer’s choice. They are similar to Vrittams which evolved from the Prabandhas of Desi music. But, they are free from restrictions of meter or the length of the line. Most Ugabhogas don’t have prescribed ragas. It is a form of free rendering where Taala is absent or is not of much importance. Ugabhoga attempts to convey a message in a nutshell. Therefore, rendering of the theme is more important here. Ugabhoga is characterised by the dominance of Raga- ‘Svara Raga Pradhana’. 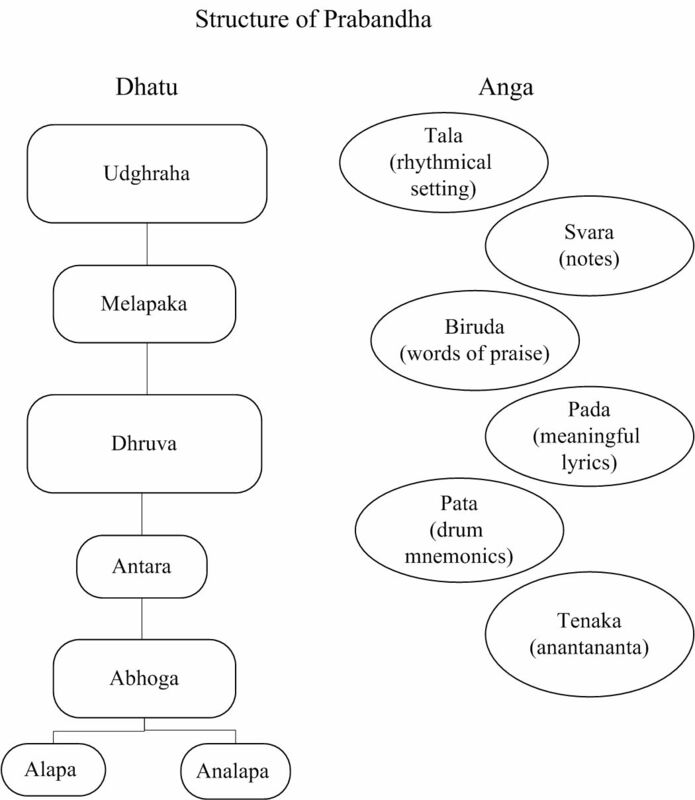 Some say; the name Uga-bhoga is related to elements (Dhatu) of Prabandha Music, called Udgraha and A-bogha. In the song set in Prabandha format, the element Udgraha consisting a pair of lines grasps (udgrahyate) the substance of poem; and, the element A-bogha completes the poem. As can be seen, there is the opening section (Udgraha) and the last line (Abogha) with the signature (Birudu, Ankita or or Mudra) of the composer. The Ugabhoga is not structured into sections. 4.5. The Haridasas through their Padas, Ugabhogas, Suladis and Geetas set to attractive Ragas and Taalas carried to the doors of the common people the message of Bhakthi as also of worldly wisdom. 5.1. The contributions of the celebrated Musical Trinity- Sri Tyagaraja, Sri Mutthuswami Dikshitar and Sri Shyama Shastri – are enormous. Their period could doubtless be called the golden age of Karnataka Samgita. Though the three did not meet together, they seemed to have complemented each other wonderfully well. The approach of each was different from the other. And yet; their combined influences has bound the Music of South India into an integrated system and has given it an identity. For instance; of the three, Shyama Shastri seemed to favour tradition, as most of his compositions are in Ragas mentioned in older treatises. Sri Dikshitar was open to influences from the Music of the West (Nottu sahitya) as also that of the North (Drupad music of North India). Some of his compositions in Vilamba-kaala are set in Ragas derived from North Indian Music. Yet; Sri Dikshitar was authentically original; and was also rooted in tradition, following Mela-Ragas classification of Venkatamakhin and that of Muddu Venkatamakhin’s Ragalakshana. 5.2. Sri Tyagaraja seemed to be more innovative. He brought to life some rare Ragas that were long forgotten and had gone out of use. He also created some new ragas. He perfected the Kriti format of Musical compositions that are in vogue today; introduced the practice of Sangathi elaboration of the Pallavi; and built in Svaras into Sahitya. And, he was also a prolific composer, having produced large numbers of Kritis/Kirtanas, Utsava-sampradaya kirtanas, Divya nama samkirtanas and Geya Natakas (dance dramas). 5.3. The post-Trinity period saw an explosion of light musical forms, such as: Varnas, Thillanas, Swarajathis, Jathiswarams, Shabdams and Javali. The composers of these musical pieces were mostly the disciples of the Trinity and their subsequent generation of disciples and their followers. 6.1. As you look back, you find that the Music of India developed and changed, over the centuries, at multiple layers due to multiple influences. The Indian classical music as we know today is the harmonious blending of varieties of musical traditions such as sacred music, art music , folk music and other musical expressions of India’s extended neighbourhood. And, yet the Music of India has a unique characteristic and an identity of its own. 6.2. The Music of India has travelled a long way. The modern day Music scene is markedly different from its earlier Avatar, in its practice and in its attitude. The traditional system of patronage vanished long back. Now, the professional musicians have to earn their livelihood by public performance, recoded discs, radio /TV channels, teaching in schools or at home. The relation between the teacher and student , the ways of teaching as also the attitudes of either teaching or learning have all undergone a sea change; almost a complete departure from the past practices and approaches . New technology and accessories are brought in to enhance the quality and volume of sound output. Many new instruments, starting with violin and Harmonium, are being adopted for rendering traditional music (saxophone, mandolin etc). The styles of rendering the Alap or the song or even selection of Ragas/kritis are all hugely different. Many musicians have been experimenting with fusion music of various sorts. And above all, there is the overbearing influence of film music. 6.3. But, at the same time, I believe the fundamental basics of Indian music are not yet distorted. It is, as ever, growing with change, adapting to varying contexts and environments. This, once again, is a period of exploration and change. It surely is the harbinger of the Music to come in the next decades. In the coming instalments of the series, we will take a look at the various stages in the evolution of the Music of India, separately, each at a time :the Music of Sama Veda; the Music in Ramayana; Gandharva or Marga Music; the Music of Dhruvas in Natyashastra ; the Desi Music of Ragas; the Prabandhas along with Daru and other forms ; various types of song- formats; the best of all formats – the Kritis also ; and at the end , the Lakshana Granthas composed over the centuries, in a bit more detail. In the next part of the series we shall try to catch a glimpse of the Music of Sama Veda.